Press releases should be very careful when making such sweeping generalisations. 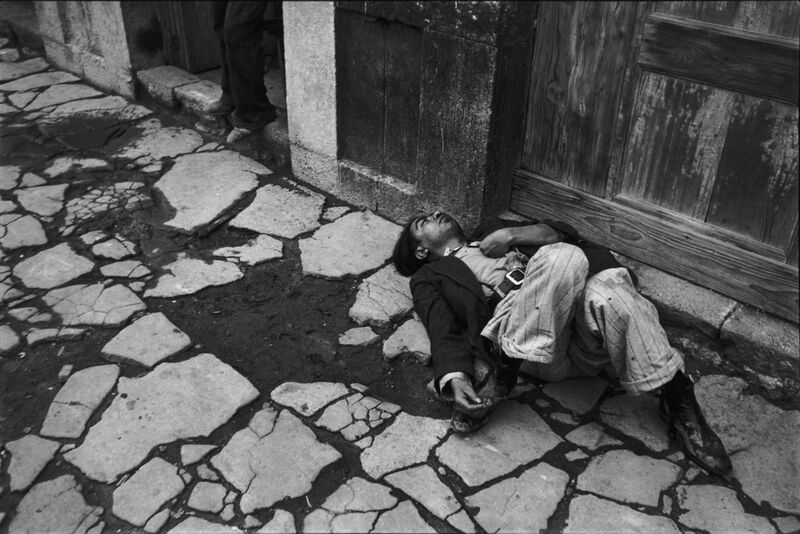 Personally I find the photographs of Cartier-Bresson the more static (both physical and psychological) of the two photographers. The compartmentalisation of space in Bresson’s photographs – the use of diagonals and verticals – is more fixed than in the sensuous Strand, the emotions more didactic and formalised even as they seek the spontaneity of photojournalism. 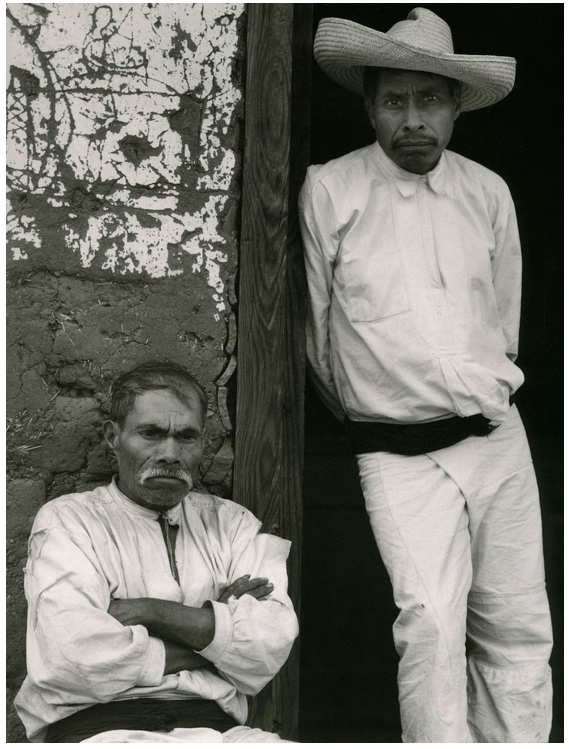 The placement of the two figures in Strand’s Men of Santa Ana (1933, below) is superlative, with the central dividing column and combination of tones and textures, father and son(? ), stares and postures. 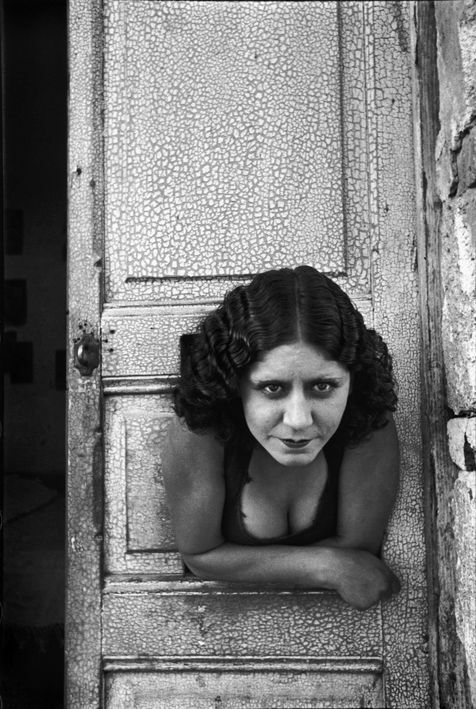 Cartier-Bresson’s Prostitute (1934, below) is simpler in pose and purpose but we must remember this was a twenty-six year old photographer still finding his voice in the world, whereas Strand was a much older person and a more experienced photographer. 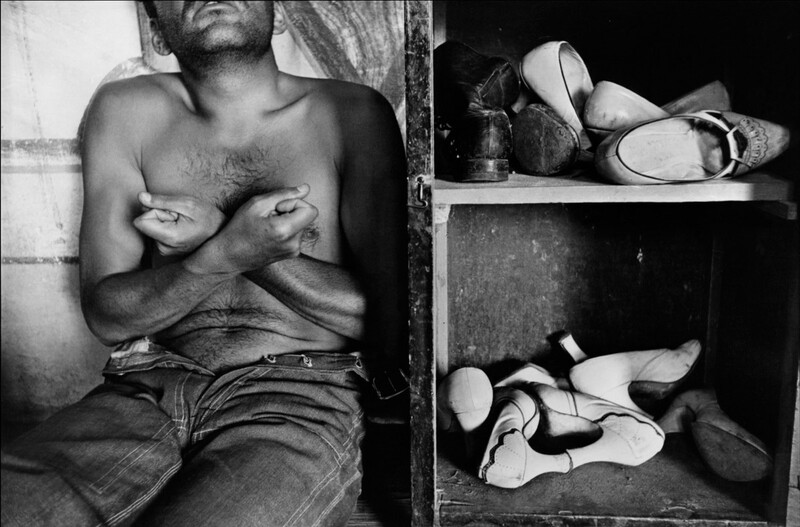 Many thankx to the Henri Cartier-Bresson Foundation for allowing me to publish the photographs in the posting. Please click on the photographs for a larger version of the image. 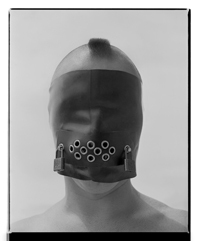 Bringing together such different works by two great masters in the history of photography is not self-evident. There are many points of convergence, but their styles are profoundly different. The American’s immobility contrasts with Frenchman’s fluidity. They both travelled to Mexico during the same period and they crossed paths in New York in 1935 when they joined the political filmmakers’ group Nykino (which later became Frontier Films) in order to explore filmmaking at a critical point in their respective careers. 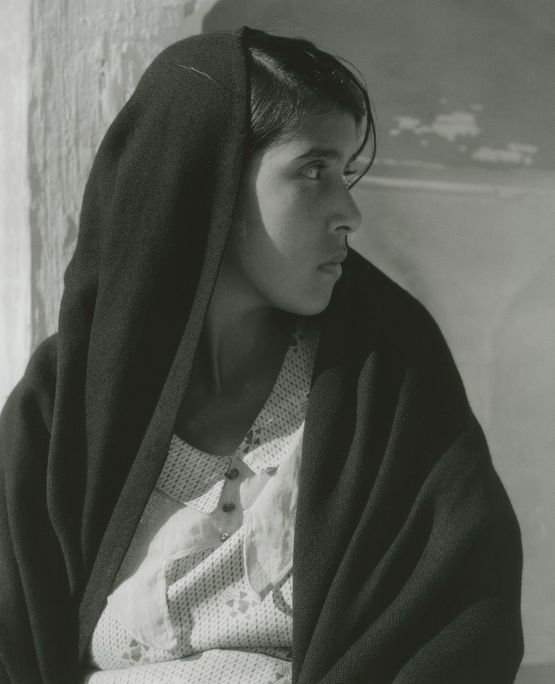 In autumn 1932, Paul Strand (1890-1976) set out for Mexico by car at the invitation of the Mexican Ministry of Education. He exhibited his photographs there and had the pleasure of witnessing the popular success of his images. 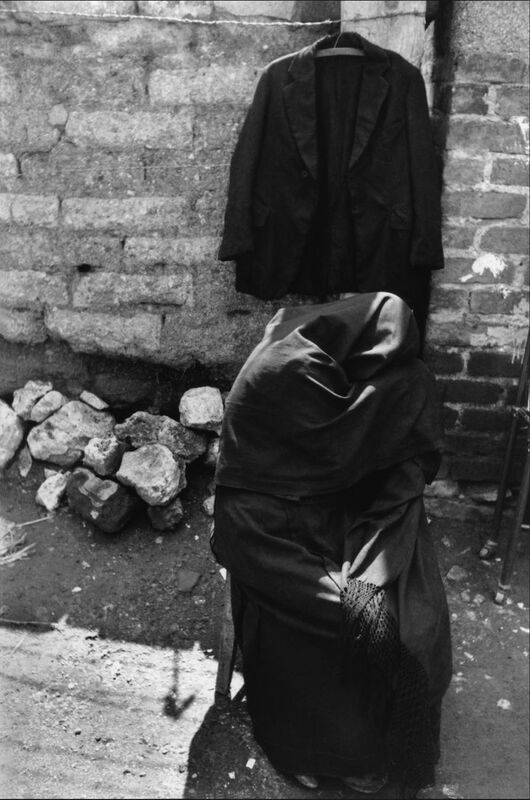 It was in the course of working in the streets of Mexico, a practice which he had abandoned for many years, that Strand took up a different documentary style. At that point, he received a proposal to make a series of films. 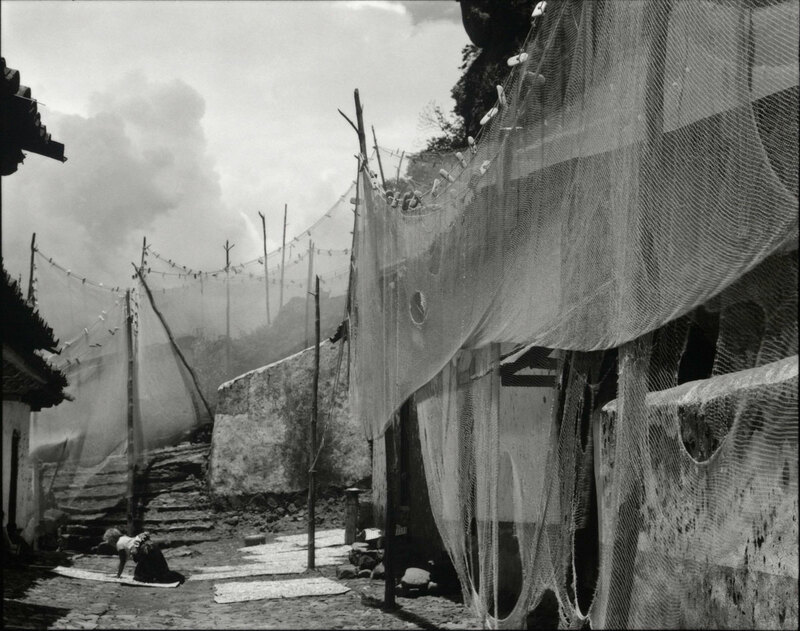 In 1934, he shot Redes (released in English as The Wave), a ‘docu-fiction’ about the oppression of the fishermen in the village of Alvarado. The film was screened in Mexico in 1936, and subsequently in the United States and France. In 1950, fleeing the climate of McCarthyism in the United States, he came to France and ultimately settled in the village of Orgeval, where he remained until the end of his life.